Interview with Sister Margaret at the age of 90, by Father Andy. It lasts about 20 minutes. Sister Margaret is thanked by the lady to whom she gave her cardigan. 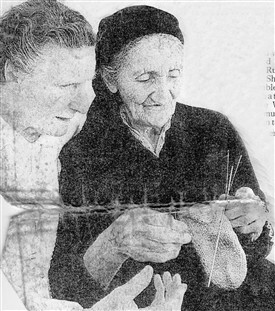 Sister Margaret (left) with an elderly Bosnian woman. Sister Margaret Duncan was born Jean Henderson, in Stoneyburn in 1917. 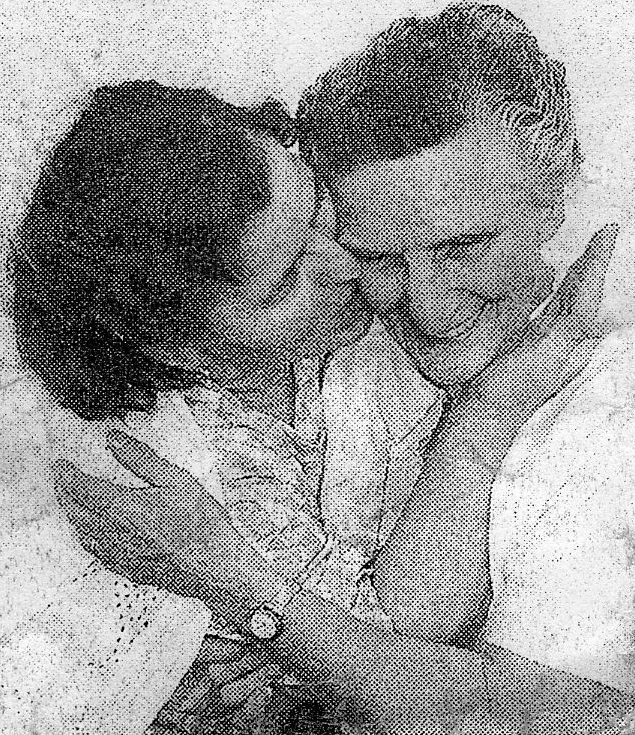 Her mother, who was born in Loganlea Rows, died when young Jean was only eight, and she had to leave school at the age of just ten to care for her younger brother. On her sixteenth birthday, her father – a miner - was killed in an accident in the pit. She was married briefly to a sergeant in the Seaforth Highlanders who was killed in the battle of Cannes. Her only child died in infancy. After her tragic early life, Margaret decided aged 34 to become a nun. 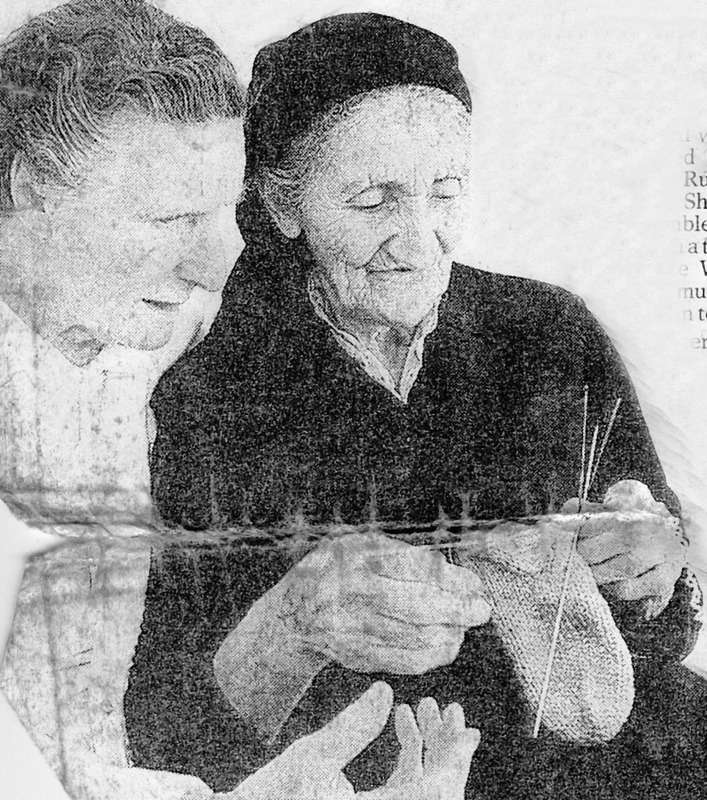 Now in her 80s, she has been deeply involved in the charity Edinburgh Direct Aid which gave so much help to the people of Bosnia during and after the Bosnian war of the 1990s. 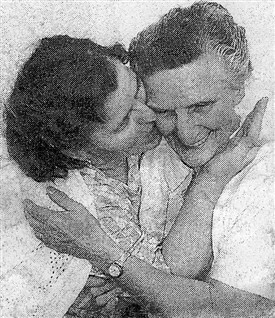 In the late 1990s, Nicola Barry a reporter with the Daily Record, accompanied Sister Margaret on one of her trips to the war-ravaged country, and reported on the work she and the EDA charity were doing there. Sadly, Sister Margaret died on the 28 November 2013, aged 96. You can read the whole article by clicking on the attachment at the bottom of this page. This page was added by Sybil Cavanagh on 19/01/2013. Lovely to see this story about sister Margaret. She was my mother's cousin. Her mother and my granny were two of the Paton sisters from Loganlea rows. I am proud to have her in my family tree. Like Margaret Foster, Sister Margaret (Jean) was my mothers cousin. Her father (James Henderson) and my granny (Rachel Henderson Walker) were brother and sister. My granny and granda had the chip shop in Stoneyburn for many years. At the tail end of last year in Oct. my wife Helen and I visited her at the convent near Liverpool and spent a few hours with her. We were treated very kindly by the nuns who had a meal ready for us on arrival at the convent. She is a remarkable woman, 95 years young and will be a nun for 60 years come Sept. 2013. I read her story Billy and the comments from you and Margaret Foster. She seems to be a woman who, although she suffered terrible tragedies early in her life, and more tragedies than anyone should in a lifetime, she found a way to overcome them and help others. This world would be a much better place if there were more people like her. This site has brought to I know my attention, so many remarkable people who started life in our little neck of the woods.